Time to renew your fishing licenses! These relatively small annual expenses are important to protect, manage, and maintain our recreational fisheries. Hatcheries, transportation, enforcement, technology, and other needs are paid using our annual license contributions. For many, licenses and fees, are like giving to the church! Some folks are too cheap to pay for a license, fee, or pass, saying that they will only use it a few times, and it is way too expensive. These same people can easily drink, eat, or part with way more money at bars, restaurants or other one use venues. Passes for our forests and watersheds can be used and reused for 365 days a year. That is certainly affordable and a great value. Fish hatcheries raise a boatload of healthy fish annually. These fish are stocked into “Put and Take” fisheries. They also are used to re-establish populations, recreation, Fishing Derby’s, or restoration projects. Cold water, warm water, and marine species can be generated for these reasons. Technology makes obtaining your license a breeze. Simply log into the state that you are interested in, and follow the prompts. There is always a “Help Me” phone number that can assist you as needed. You can print out your license at home, along with a receipt, sent to your e-mail address. 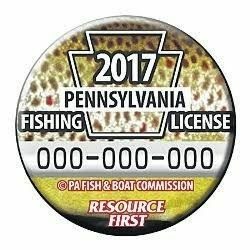 Printing out several copies of your license will allow you to keep one in the boat, vest, tackle box, or wallet. Most licenses are not valid until signed. Temporary licenses can be dated and saved. Fishing License vouchers are also available to use for gifting. Not all states require a renewed license in January. Montana does not require a license renewal until the end of February. Some states stagger their renewal times. You can always purchase a temporary or access permit as needed. Check your states for accurate information. 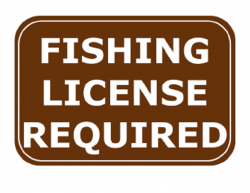 You do not have to be a hunter or fisherman to purchase a license. These programs are a great way to donate funds for a worthy cause. The protection, management, and maintenance of our wild places impacts more than just targeted species. These funds also allow for all public access and habitat management as well. I am always amazed at how some “Tree Huggers” and anti-hunters complain, but do not contribute. Licenses are a great way to put your money where your mouth is. Many populations exist because of sportsmen supporting these wonderful resources. “Open Space” funds are generated through a tax, that hunters and fishermen pay, when purchasing gear and equipment for their sport. Many states use these funds to purchase land, access, and programs that are enjoyed by everyone. Anyone can be a contributor using their states license programs. Once you have “Paid the Piper”, you no longer need to look over your shoulder, or do something against the law. The license allows you to FISH!!! When most of us fish, we need the quiet, relaxation, and peaceful opportunity to re-charge and have fun. Licenses and fees, are a cheap way to celebrate our wonderful natural resources!